No matter how you look at it, Victoria’s Secret knows how to put on a show. From their fantasy bra to their stellar musical line-up, there’s nothing not to love about the extravagance that goes along with this fashionable affair. 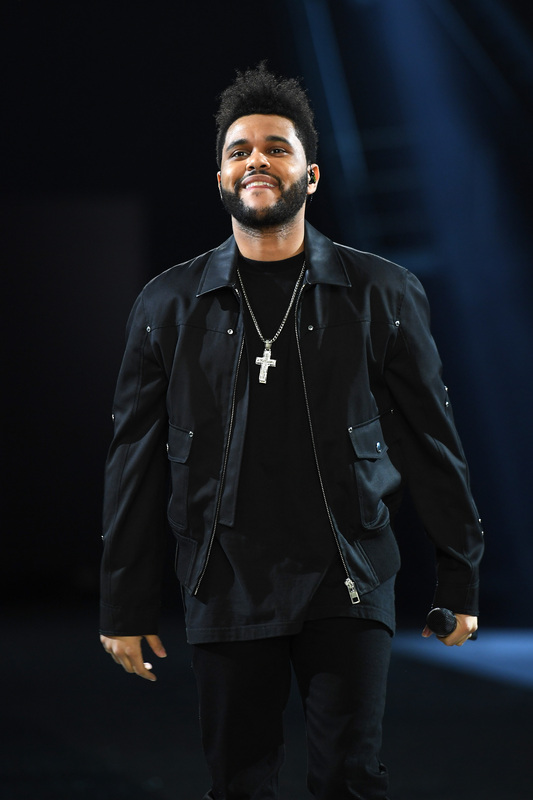 The Weeknd slayed the 2016 Victoria’s Secret Fashion Show, to the surprise of absolutely no one! He’s known for his unique vocals and his hair (which is much shorter this year). The first time he hit the VS Fashion Show was in 2015 when he sang “Can’t Feel My Face” and more of his hit songs. This year, he’ll likely be crooning tunes from his Starboy album, and those melodies surely won’t disappoint, either. As far as fashion goes, he kept it pretty casual because why even try and compete with those Angels, you know? He rocked sneakers and a simple black jacket and pant combo, but he still looked great. Because when you’re as cool as The Weeknd, you don’t even have to try, if you know what I mean. Tune in when the full show airs on TV on Dec. 5 to hear his performances. But, go ahead and get a sneak peek of what went down on the VS Paris stage right now! The Weeknd was just one of three amazing artists to hit the stage. But, he took over the VS Fashion Show in a way only The Weeknd could. He's rumored to have split with girlfriend Bella Hadid, but the two seem to be getting along just fine while sharing the stage. He may have cut his infamous locks, but he couldn't look better with his fresh 'do. He's been gearing up for the show by getting accustomed to the Parisian time zone. On or off the VS runway, there's no stopping this Starboy. He's forever the epitome of cool.